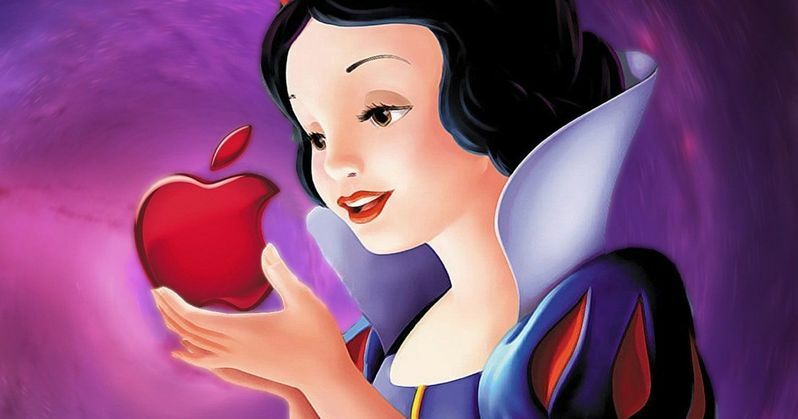 Is Apple Getting Ready to Buy Disney for $200 Billion? Could Apple really be looking at buying Disney? Right off the bat, we need to say that is is just a rumor, and one that is a bit complicated for those who aren't overly well versed in complex business deals. But if this is even remotely true, it is a massive deal. Not only in terms of the amount of money involved, but in terms of what it would mean not just for entertainment, but really for the world. That said, the amount of money involved is enormous. Roughly $200 billion worth of enormous. The report comes from Variety, who are basing the information on an analysis that was done by RBC Capital Markets. According to their research, there is a very real possibility that Apple could be eyeing a purchase of the Mouse House for a borderline unfathomable amount of money. According to them, the figure would be somewhere in the neighborhood of $237 billion. But this is Disney we're talking about, home of Marvel and Star Wars, so it wouldn't come cheap. Here is how they put it, in broad terms. "Recently, investors have increased their expectations that Apple could seriously consider acquiring Disney." This isn't the first massive purchase agreement that has been bandied about in recent months in regards to Disney. A few months ago there was similar chatter suggesting that Disney could be looking at purchasing Netflix so that they could get some skin in the streaming game. As it turns out, this possible purchase of Disney by Apple would have a lot to do with the same thing. Their priority would be to "create an instant competitor to Netflix that would take advantage of the Mouse House's content and Apple's user base." Apple, using Disney's massive library of desirable content, seems like one of the only companies in the world that could possibly find a way to truly compete and possibly take down Netflix. This information suggests that would very much be part of the plan. RBC analysts Steven Cahall and Leo Kulp said this of the possible deal. "Content is a major focus for Apple, target size is not an issue, and Disney offers an avenue to diversify away from hardware without diluting the strong Apple brand." As insane as this may sound, it really isn't out of the realm of serious possibility. Back in 2015, Apple was looking at purchasing Warner Bros. for around $85 million, which ultimately didn't happen. It was AT&T who stepped in to make the deal for Warner Bros. A deal that, as of yet, still isn't finalized. But the point is, Apple is one of the few companies on the planet that could conceivably put together the money to make this deal happen and, while there is a lot that would need to happen, like U.S. regulators needing to give Apple a "tax holiday" to bring in offshore cash to fund an acquisition of Disney, there is a serious benefit from Apple's perspective if they can make this happen. The report notes that this would create a company worth $1 trillion with "almost limitless opportunities in content and technology." If they could make it happen, why wouldn't Apple pull the trigger? Disney has essentially mastered the art of mass appeal and has been ruling the box office for several years now. That has a lot to do with their major acquisitions piling up over the years, collecting brands like Marvel, Lucasfilm and Pixar, which generate billions for them annually. Combining powers with Apple would create a lot of possibilities and would truly be an unmatched power in the consumer market. It also is worth thinking about what it would do to Netflix, since the streaming service currently has a deal in place with Disney that gives them exclusive access to all of the studio's new movies very shortly after they arrive on Blu-ray/DVD. With Apple wanting to create a competing service, that deal would almost certainly be affected. Still, that may be getting ahead of things a bit, since there is no confirmation this is even happening. Nothing has been said publicly by Apple or Disney on the matter, so for now, this needs to be regarded as a rumor. But it is a deal that is so important its importance and impact can't really be overstated, so this is something to keep your eyes on.